Inverness means “Mouth of the River Ness” in Scottish. This city lies within the Great Glen and is the northernmost city of the UK. It is also one of Europe’s fastest growing cities, where the people are really warm and welcoming. Inverness has a wide variety of magnificent places to visit including the historic buildings that are mainly found in the Old Town. Many ancient castles stand guard over this city whose history is full of monster myths and mysteries. 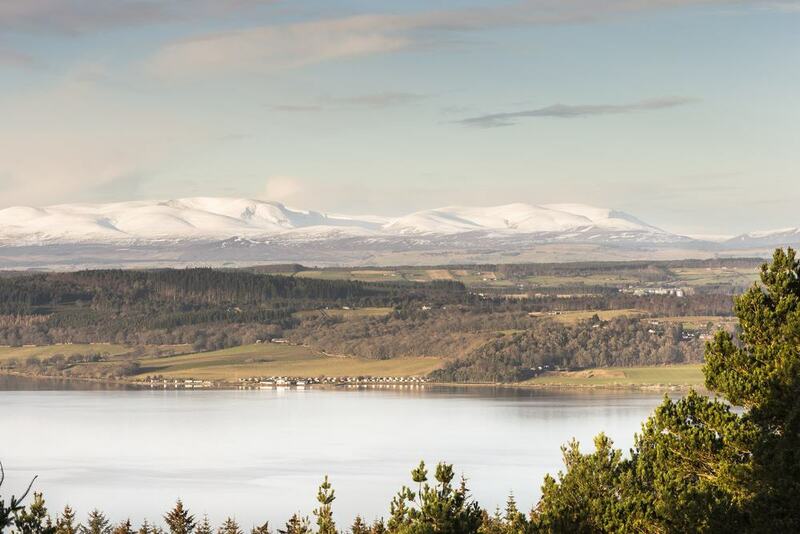 If you want to uncover Inverness’s rich history and mystery but only have a day to do so, this list of 15 best day trips is made just for you. Loch Ness is Scotland’s largest body of water by volume. The lake stretches from Fort William in the south, all the way to Inverness in the north, running for a whole 37 km. Visit Loch Ness and get to enjoy the dramatic beauty of this lake, which is also home to the Loch Ness Monster. The monster is a mythical creature that is said to dwell in the lake. Many locals and passers­by claim to have spotted the monster, which they affectionately named “Nessie”. The Monster is described as a huge creature with a long neck and a hump that protrudes from the water. 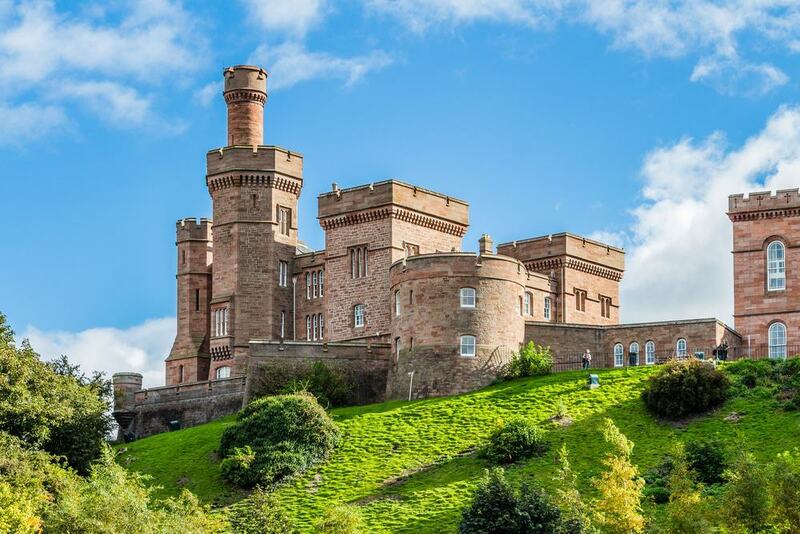 Make your trip to Inverness complete by visiting this castle that was featured in Shakespeare’s play, Macbeth. The Inverness castle sits on a cliff and is situated right at the heart of Inverness. The Inverness Castle was built in the year 1836 under the directions of William Burn. Today, this red sandstone structure is used as a courthouse and jail, and also houses the town sheriffs. This means that the lower floors of the castle are currently not open to the public. The north tower, however, is open to those who are willing to climb. Anyone who has the energy for the hike should go up the tower, which overlooks River Ness. The views from the top are definitely worth it. 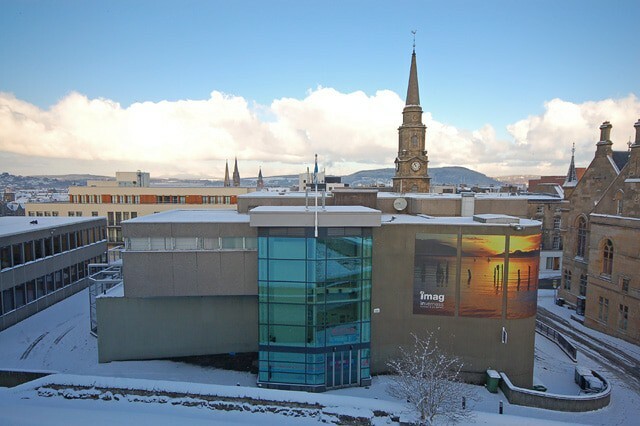 The views at the top are amazing and offer a great spot to take selfies as you learn some history about the City of Inverness. If you have more time on your hands, you can pass through the Inverness Museum which is right next door. It is on these grounds where the Battle of Culloden took place in the 18th century. 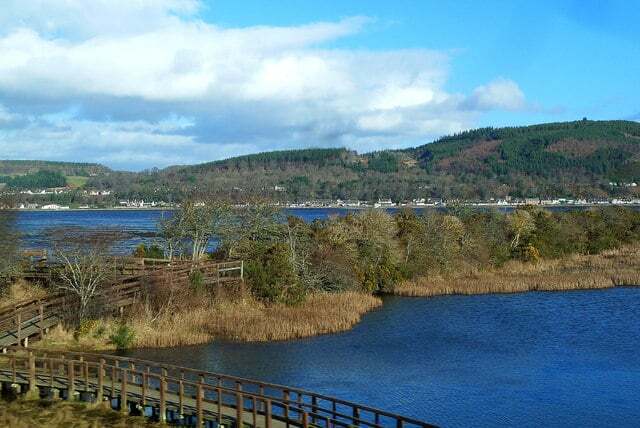 This village lies 4.8 km to the east of Inverness. The Culloden Battlefield is a huge attraction for tourists and is now under the care of the National Trust of Scotland. A visitor center has been built to give the visitors an interactive battle experience, which includes an immersion film battle room. 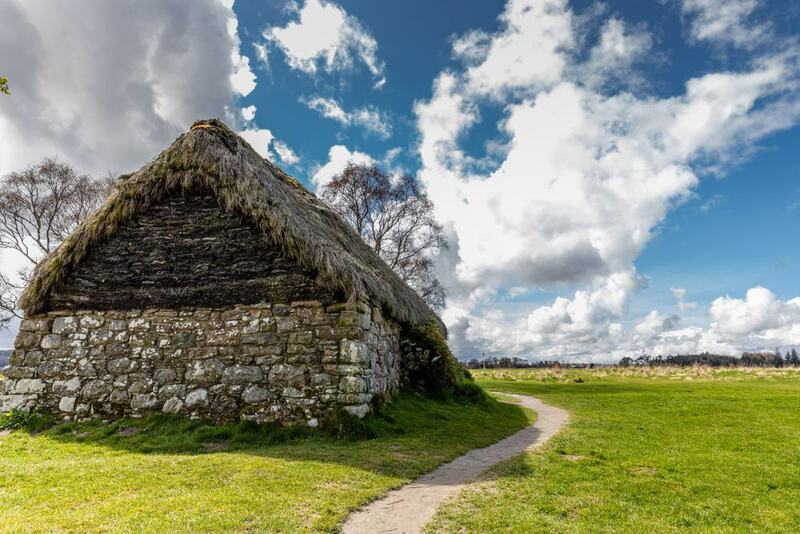 When you get to Culloden Moor, you should also visit the Clootie Well which is another notable site worth visiting. Here, brightly colored rags are hung by people suffering from various ailments as a form of offering to the spirits. 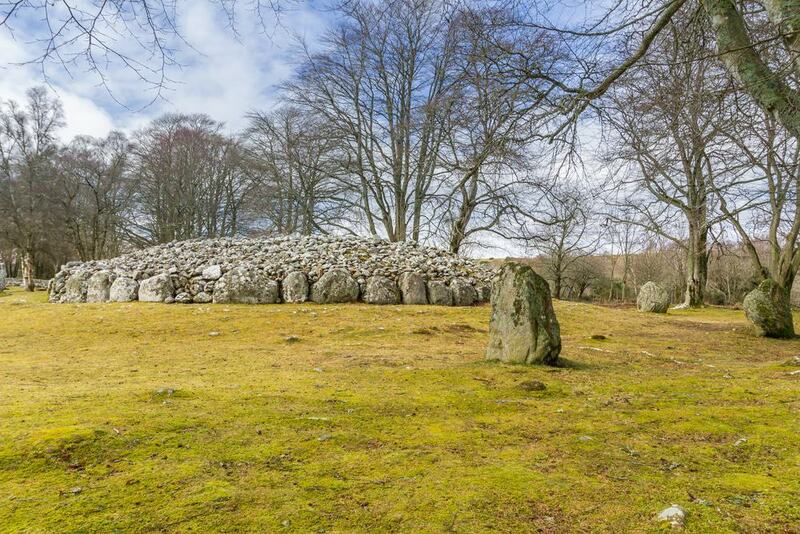 The Clava Cairns are a group of burial mounds that are located in Balnauran of Clava which is located in the northeastern end of Inverness, Scotland. A cairn is a mound of stones that are put over a grave. The Cairns are situated about 1.6 km from the Culloden Battlefield. The well­preserved burial mounds were constructed in the Bronze Age and are strategically placed in astronomical alignment. Apart from the Clava Cairn, there are 45 other cairns in Inverness which are believed to have served a religious purpose. It’s not clear whether a single person is buried at the entire site or multiple persons are buried under each of the cairns. The spectacular Inverness Botanic Garden will add magic to any trip; it’s an oasis of calmness and beauty. This garden was opened by Prince Edward in 1993 and was formerly known as Inverness Floral Hall & Gardens. The garden contains a wide variety of plants from different climates which are grown in greenhouses for optimal growing conditions. 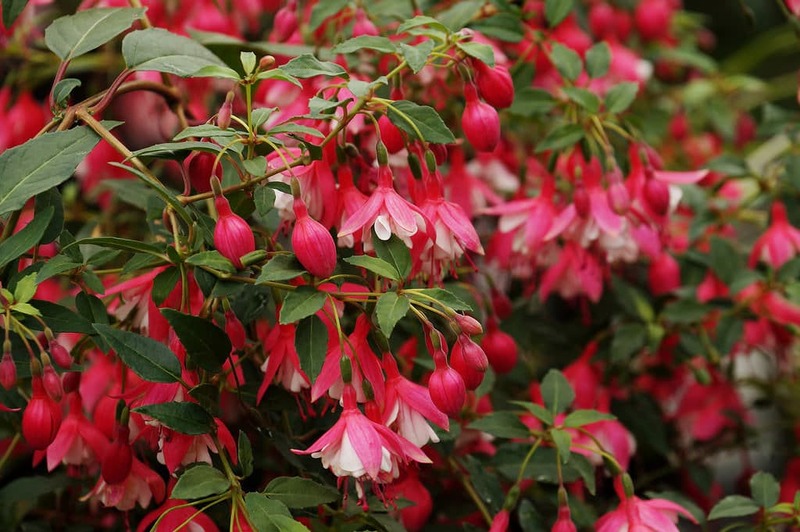 The Inverness Botanic Garden is a magical explosion of color and for this reason it’s the perfect year-round destination. This magnificent waterway was constructed in the early 19th century under the directions of a Scottish engineer, Thomas Telford. Even though the canal was not completed until 1847, in 1822 it was opened for navigation. 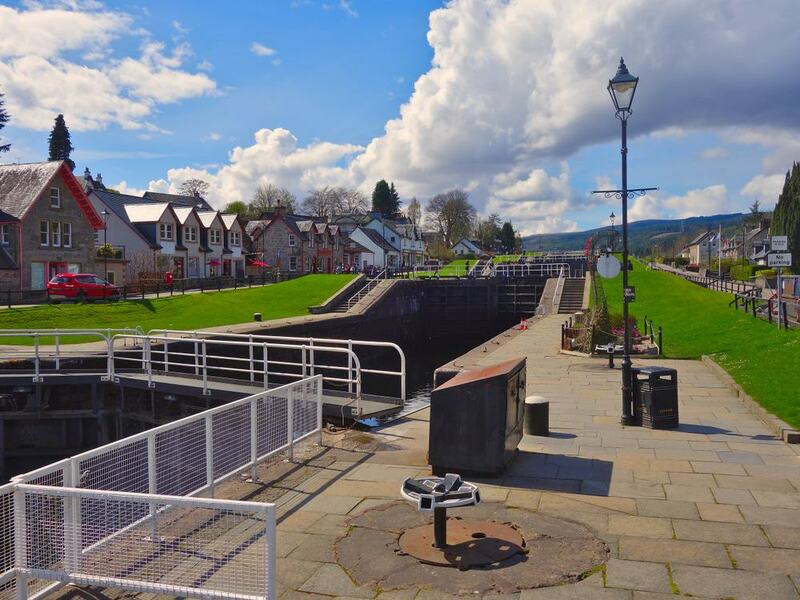 The Caledonian Canal runs 97 km from the northeastern end to the southwestern end. About two­thirds of the canal is formed by some of the lakes found in the Great Glen, while a third of the canal is man­made. 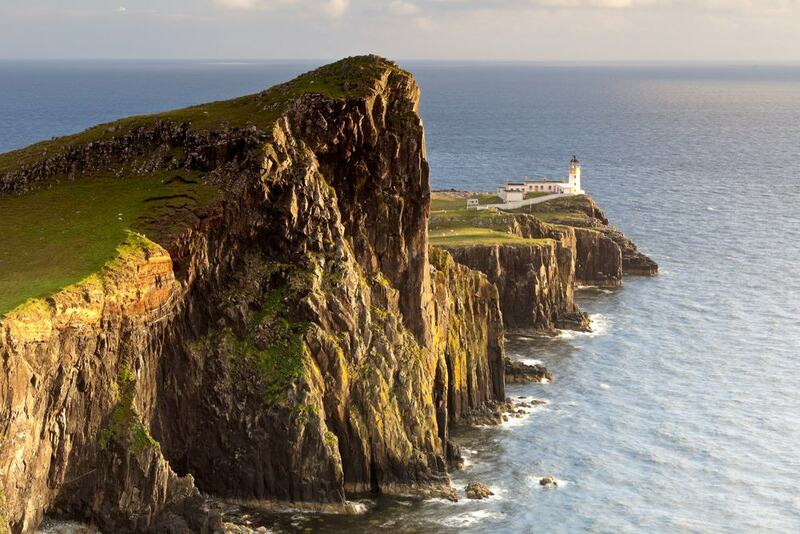 Visit the “jewel in Scotland’s crown” and marvel at the geological formations which include valleys, towering sea cliffs, and coastlines. Thanks to its unique features, the island has been featured in films, songs, novels, and poetry. The Isle of Skye is located on Scotland’s West Coast and is quite isolated, making access to the island a bit of a challenge. 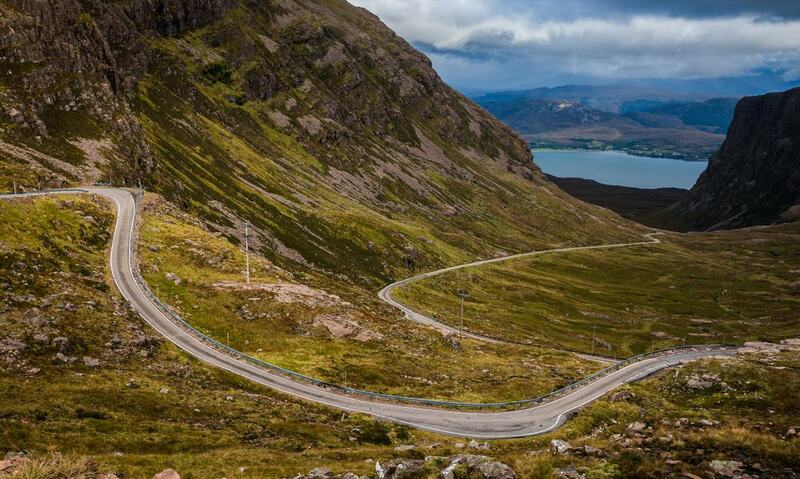 The dramatic mountain scenery here is the best you’ll find in the whole of Scotland. The locals’ main economic activities include agriculture, tourism, fishing, and forestry. This island has been inhabited since the Mesolithic period. Portree is Skye’s largest settlement and is popular for its picturesque harbor. When you visit the Isle of Skye you’ll see its abundant wildlife which includes the Atlantic salmon, the golden eagle, and the red deer. 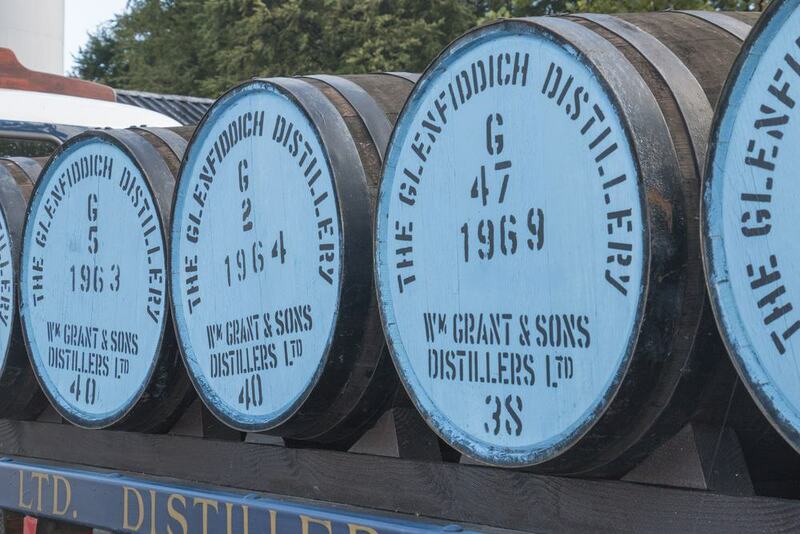 If you’re a whiskey lover, you need to make a trip to the Glenfiddich Distillery to experience whiskey at its best. Glenfiddich translates to “valley of the deer” and this explains why they use a stag as their logo. The distillery is located in Dufftown. Glenfiddich is the world’s best-selling whiskey. The distillery was founded in 1886 and since then it has been owned by the Grant family. All whiskey enthusiasts seeking a fully immersive experience should visit the valley and relish a golden drum of the whiskey. Visitors are allowed to taste and sample the whiskeys as well as create their own versions of it. When you’re in Inverness do not miss an opportunity to experience first­hand this uniquely­run family heritage. You will also get a chance to have your picture taken, which you can email to your friends. Merkinch Nature Reserve is absolutely worth a mention on our list of 15 best day trips from Inverness. The 54.7­hectare reserve is located in the heart of Inverness and is a hidden treasure that very few people know about. Merkinch was declared a nature reserve in November 2007. Even though the reserve is managed by the Merkinch LNR management group, it’s owned by The Highland Council. The wildlife present includes owls, weasels, cormorants, herons, roe deer, and wading birds like kingfishers. If you are lucky, you might spot an osprey. This gem is located to the west of where River Ness enters the sea. Pay a visit to this nature reserve and delight in the rolling hills. 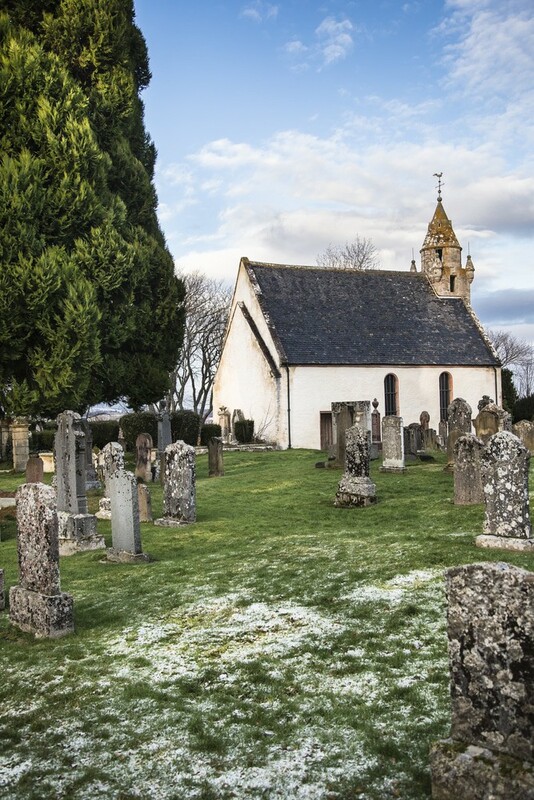 The Applecross village was established in the 7th century by St. Maelrubha when he built a chapel there. Currently, there is a stone sculpture of him in Applecross. This village is also referred to as the Shore Street. The peninsula is located in a remote area of Scotland and making the trip will inspire you as you enjoy the spectacular scenery. Exploring the Applecross Peninsula and getting a glimpse of the abundant wildlife will provide the perfect escape from the stresses of life. Nature lovers can also look out for wildlife in this beautiful village. This picturesque forested hill on the west of Inverness offers interesting forest walks and is home to a wide range of wildlife. Craig Phadrig was once a stronghold for Bridei Mac Maelchon, a Pictish King. Currently, the 172-meter-high hill is managed by the Forestry. This hill has clear paths that are very easy to navigate. At the summit of the hill is a stone fort that was manipulated by heat to form a glass­like material. The Inverness Museum originally opened in 1881 and is located inside Castle Wynd in Inverness. Admission to this museum is free. Some of the important portraits found here include that of Prince Charles Edward, which was donated by Prince Frederick Duleep’s family. Over time, other portraits have been added to the collection, some of which are by Scottish artists such as Tom Scott. In the museum, you will find all the information you need about the history and heritage of the Scottish Highlands. Pay a visit to the Inverness Museum and Art Gallery to explore a wide range of archeological stones, artifacts, and crafts. 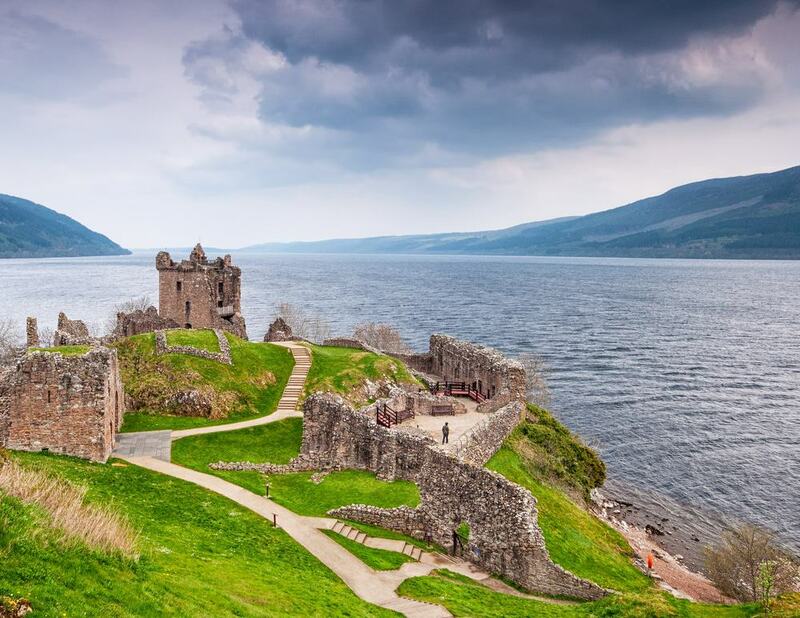 This castle is one of the most iconic landmarks in Scotland and is a common site from where people report spotting the legendary Loch Ness Monster. The castle is one of the largest in the Scottish Highlands and sits on the banks of Loch Ness, approximately 21 km away from Inverness. 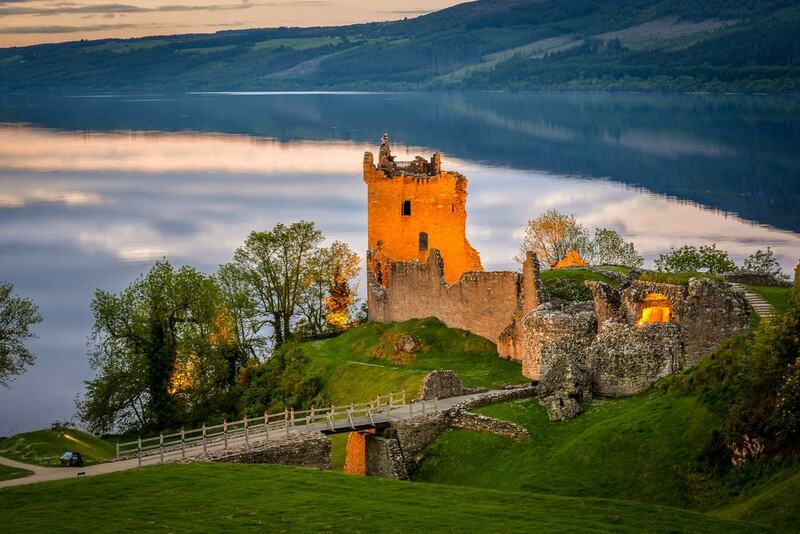 The Urquhart castle dates back to the 13th century. It played a major role in the Scottish Wars for Independence which were fought in the 14th century. The castle was raided on several occasions and this led to its abandonment in the 17th century. The partial destruction in 1692 followed by the decay of abandonment led to the ruins that we see in the present day. This castle is open to the public and makes a great destination for a day trip from Inverness. The Wardlaw Mausoleum is located about 13 km to the west of Inverness. This graveyard was built in 1634 and was used by the Lovats as a burial place until the early 19th century. In 1722, the graveyard’s roof was raised and a tower added. Later on, the building fell into disrepair and was only rescued in the 90s by the Wardlaw Mausoleum Trust. 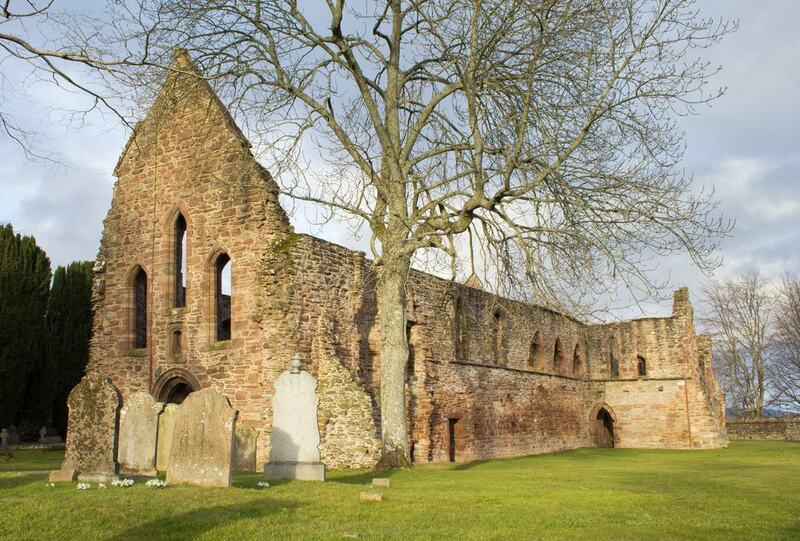 “Beau Lieu” translates to “a beautiful place” and is the name of the location on which the Beauly Priory was built. The priory is one of the three monastic communities that were built around 1230 by French monks. It was used by monks as a place of worship. Today, the abbey church still stands and houses some funerary monuments. The Beauly Priory ruins are a top attraction in Inverness so it had to make it to the list.